Representatives of Krungthai Bank, EVX Holdings and Shwe Rural and Urban Development Bank have signed a letter of intent to introduce the first cross-border blockchain powered money transfer services between Thailand and Myanmar, reports Jane Connolly. More than three million Myanmar migrant workers live and work in Thailand and send money home to their families. 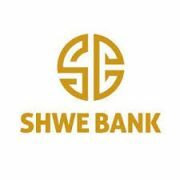 The new service ­– to be called Krungthai Bank and Shwe Bank Remittance powered by Everex – is designed to combat key two issues those workers currently face: high remittance costs and a lack of trust. Customers will be able to use the secure Everex wallet on their smartphone to send automated cross-border transactions to the recipient’s front door, with greater speed and competitive exchange rates – thanks to Ethereum blockchain technology. Everex is currently conducting focus groups and a pilot study with both banks and Myanmar communities in Thailand.